We invite all people of good will, especially dog lovers to the project called “Better Together.” We invite all those who are aware of the passage of time and see the civilization changes on people and animals. The project aims at activating older people as well as to help maintain and possession of unwanted dogs for various reasons, dogs that could be a good aspiration for them to operate without any fear and heavy loads. The main reason, which stops older people from having a dog or other small pet is their life experience, and the fear of taking responsibility for various random events, such as disease, stay in the hospital or go on holiday etc.Who to leave the dog with during these unexpected absences? The cost of living, food, hygiene and treatments and a dog nowadays ± can be enormous and sometimes exceed the financial capacity of people in retirement. These and other problems could be solved by the “Better Together” program. The main core of the project would be the volunteers who will receive the behavioral training. These people could take care of a dog, cat or other pet in many stressful situations. We would assume responsibility for the socialization of the dogs at the new location, fit the characters of dogs and people, guaranteed by constant supervision and help the dog. In addition, we would like to provide care for seniors who already have pets. If they ever needed assistance in everyday duties, some advice on health or diet of their pet – our specialists would be always there, giving support. 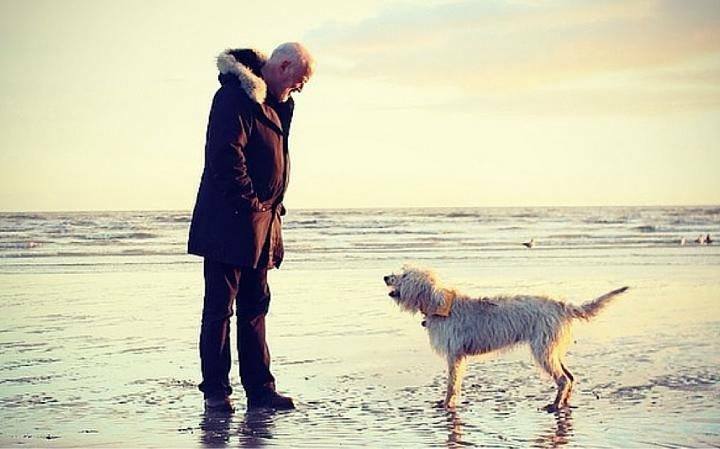 In such sad events like farewell with a dying animal-friend, or dealing with his loss could be supported by our volunteer specialists, including psychologists. An essential element of this project is the involvement of various social organizations, above all the volunteers and especially conscious parents whose children are planning to get a dog. It would be the perfect test for them while being with a dog. The financial means for this project will be partly financed and subsidized by the government, sponsors, individuals as well as directly by the representatives, and trim contractors services, such as vets, groomers, trainers, producers of feed, etc. In listed entities, it could provide their services to people involved in the project with minimum prices. The project is paramount and necessary because of the changes that occur in human life, and especially the relationship between animals and people. From the statistical data and predictions of scientists, it is clear that more and more older people will be living alone, and interviews with psychologists and seniors evidence that there is a great need to activate this group. The older people who have seen this project agree with it. Dog and man has lived together for 16 thousand years. Cat and man – not much shorter. The positive effect of contact with both species on the man was already well known in antiquity. Together walks (if you have a dog) to motivate movement in the fresh air, in the case of the elderly and lonely are the reason to leave the house and give a sense of “being needed.” In the other hand, if you have a cat, or any other animal, you always have somebody to “talk to”, somebody who trusts you more than anyone and needs your company. Specialists in various fields of medicine increasingly recognize that the presence of a dog or cat can have a very positive effect on the physical and mental health of man. Statistics show that dog owners rarely go to the doctor. In the other hand medical studies proof, that purge of happy cats positively affects the functioning of the human body. These phenomena are studied by researchers from multiple institutions in different countries. It is demonstrated that contact with dogs and cats reduces the risk of heart attack, stimulates blood circulation and metabolism, helps fight obesity, lower blood pressure, and bad cholesterol levels, alleviate rheumatism and problems with joints.